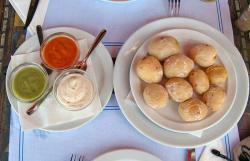 Discover some of the most typical dishes in the Canary Islands. 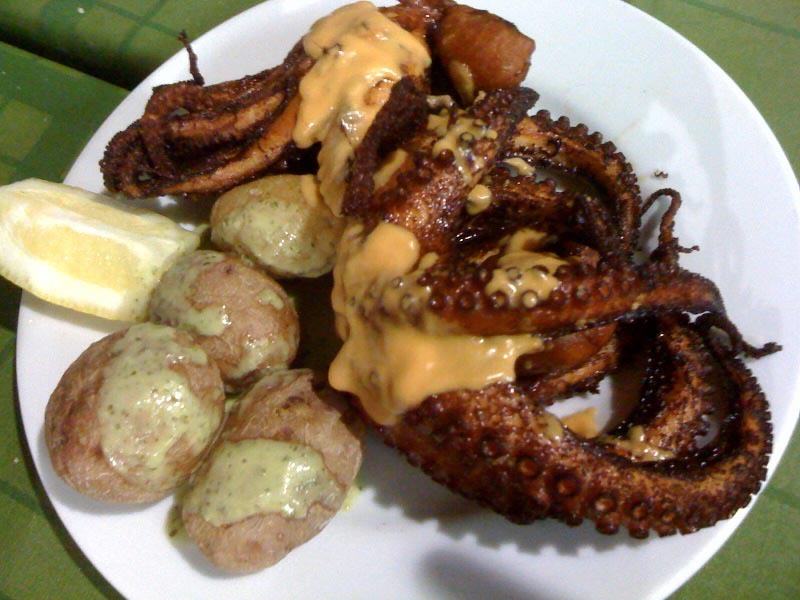 The Canary Islands dishes are composed by popular gastronomy, which is impregnated by sea flavours and american cuisine. Its elaboration is usually simple yet very rich in flavour and uniqueness. In the restaurants where traditional canary islands food is served you won’t miss tasty appetizers such as the carne de fiesta, goat, the morena frita, octopus, goat’s cheese, black sausage that have a typical sweet flavour. Moreover you won’t lack the potatoes, the stew meat with vegetable, delicious fish dishes as the viejas, stewed, the samas, the tuna, or the sardines. Regarding meat we recommend you to try the gazpacho rabbit, the pork, prepared different ways. In the Canary Islands both the fish and meat dishes are usually served with papas arruagadas, which are cooked and served with salt. They’re also usually served with mojo picón, a red sauce and cilantro a little softer and with green colour. The most famous desserts and typical sweets from the canary islands are: sweet egs, frangollo, the trouts and the Albert Prince. The diet from the old inhabitants of this island was mainly constituted by toasted cereals ground by great rock stones, the gofio. This is still an essential ingredient for the local communities. It’s usually softened by a fish broth in a typical dish called: El Escaldón.